BRYAN EATON/Staff photo. 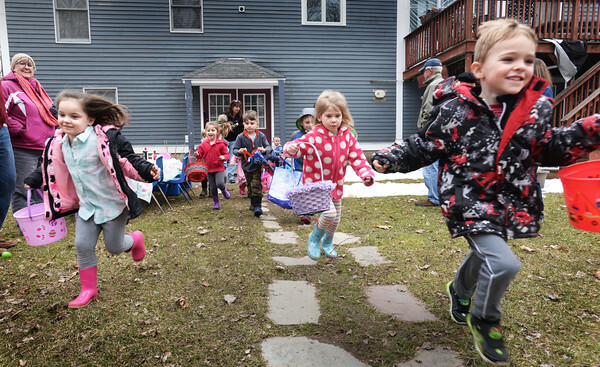 Baskets in hand, youngsters from Little Inspirations Daycare in Salisbury head out for their annual Easter Egg Hunt on Thursday afternoon. After the gathering of the eggs, they got a visit from the Easter Bunny and were treated to ice cream.